Something to look forward to: Plague Inc, the game where players try to infect the world with their disease, has announced that they will be adding anti-vaxxers to the gameplay. It's not clear what form this new feature will take, but it will likely be a special scenario with much lower difficulty. Anti-Vaxxers are a fringe movement of people who deny the overwhelming science surrounding vaccines in favor of a more natural approach to disease prevention. As any doctor would tell you, this is of course very foolish and threatens the health of everyone involved. That is exactly what the players and developers of Plague Inc were looking for, though, in their morbid game. In the disease simulation game, players can choose different traits for their disease to make it as deadly as possible. This includes what symptoms it shows, how it spreads, and how easily it can be prevented. This feature request started as a petition by the community and has since gained more than 20,000 followers. The developers had agreed to act on the petition if it gained more than 10,000 signatures. In response to the petition, the developers, Ndemic Creations, stated that they were "going to start figuring out anti-vaxxers soon. [We are] dying to try and get inside their heads." Ndemic has previously added a science denial scenario, but that was based on countries banning scientists, not people choosing to ignore science. For now, the scenario has only been confirmed for the mobile version of the game. 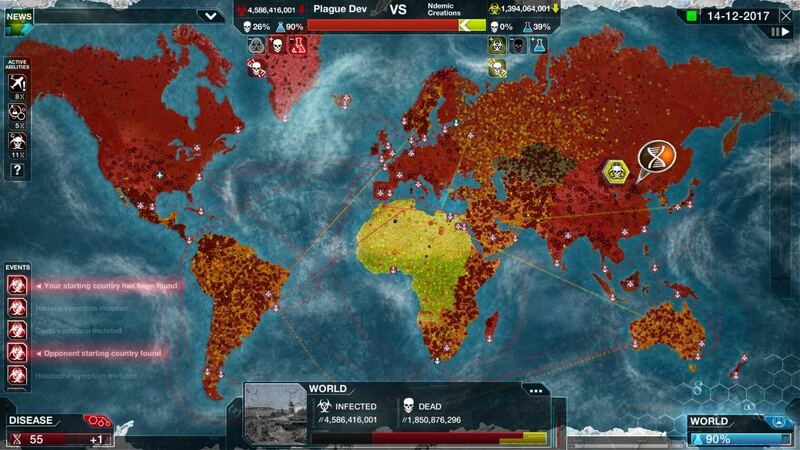 It's not clear yet if it will also be coming to the PC version, called Plague Inc: Evolved. The two platforms generally feature the same content, so it's likely that the scenario will also come to PC.